MSc Construction Law and Arbitration, Diploma in International Commercial Arbitration. Peter has been actively involved in the Construction Industry for almost 40 years. Peter started as a quantity surveyor and progressed through to being the Chief Quantity Surveyor for a London based building contractor. In addition to this, Peter also became the General Manager of the construction arm of the same company. Since moving into consultancy work 14 years ago, Peter has been appointed to act as Arbitrator, Adjudicator, Mediator, and as Expert Witness in respect of both Liability and Quantum issues. Peter has also represented clients in the arbitration, adjudication and mediation processes on numerous occasions. Peter provides seminars and training on a wide range of contract and commercial topics relating to the construction industry. 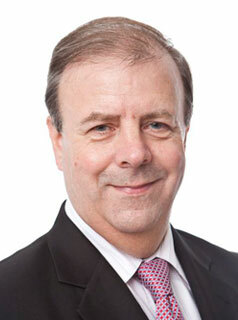 Peter is a member of the Consultants’ College for the JCT Council and sits on the JCT Council. He serves on the Committee for the Anglia and Central Region of the Chartered Institution of Civil Engineering Surveyors (and is a past-Chairman of that Committee), and he is past-Chairman of the Chartered Institute of Arbitrators’ East Anglia Branch. Peter is the Treasurer of the Arbitration Club (Law Courts Branch), and has served on the Committee for the East of England Branch of the Chartered Institute of Building. Peter is also a member of the Adjudication Society, the AICA, the Kings College Construction Law Association, the Society of Construction Law, and is a Liveryman of the Worshipful Company of Arbitrators. Peter is the author (and/or co-author) of the three published books, i.e. the ‘JCT’05 Standard Building Sub-Contract’ and ‘Subcontracting under the JCT 2005 Forms’ published by Wiley / Blackwell, and ‘Delay and Disruption Claims in Construction’ published by Thomas Telford (with a second edition to be published in 2014); he is also the co-author of a book titled ‘BIM In Theory and In Practice’ due to be published by Thomas Telford in 2014. Peter has also had many articles published in various construction industry / legal magazines.